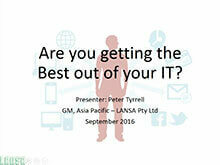 LANSA runs regular Webinars with leading industry experts and customers. 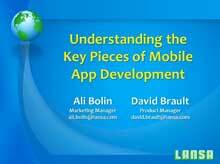 Deciding whether to invest in mobile apps is simple—the answer is yes. 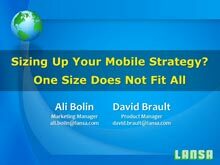 Determining which type of mobile application to build is more complicated because there are many options, each with its own sets of pros and cons. Learn the differences between mobile web apps, progressive web apps, hybrid mobile apps, and native mobile apps. Walk away from this webinar knowing how to reduce the complexity of cumbersome and time-consuming mobile app development and discover a fast, easy and cost-effective strategy for delivering a wide range of mobile applications using a single skillset and platform. IBM i 5250 modernization - instant GUI for web, mobile and more! IBM i organizations face a wide range of different application modernization options—from web enabling green screens to modernizing legacy code to building new web or mobile solutions from scratch. Selecting the best approach requires understanding how you can quickly achieve tactical wins and introduce new web and mobile applications that work in harmony with your existing IBM i systems and databases. Watch this on-demand webinar and learn how to GUI-enable all your IBM i 5250 screens without changing a single line of code, transform your existing apps into modern web and mobile apps or integrate them into SharePoint and other web-based solutions and more. Constantly having to learn new development technologies is not productive and will result in a short-lived IT investment. Backlogs build up and your organization becomes less agile in its response to new business opportunities. 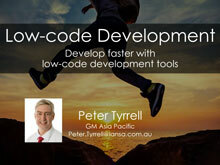 Want to be more agile? 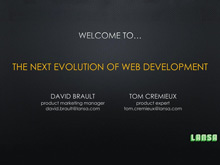 View this Webinar to learn how to build and maintain responsive web applications using only a single Integrated Development Environment (IDE) that takes care of underlying technologies and technology changes, so your developers don’t have to. Too many companies let misconceptions about web development deter them from updating existing or building new, modern web applications. 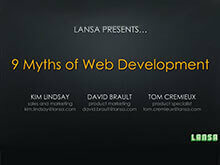 Attend the Top 9 Myths of Web Development Webinar to see how LANSA's myth-busting web technology debunks objections like: Developers have to use several different programming languages and technologies to build responsive, transactional web applications. It’s impossible for web applications to achieve the same performance and user experience of a desktop application. This webinar outlines best practice on how to make it easier for Google to index and understand the content on your website. Additionally, you will learn the science of keeping up with Googlebot and factors that drive how Google ranks your pages, Google’s requirements for building mobile-friendly websites and how to test your site, the difference between mobile verses responsive websites in terms of content, linking and tracking as well as tips on how to get started designing your mobile and Google-friendly website. 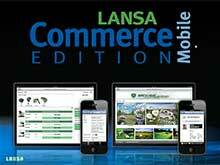 LANSA’s cross-platform mobile development tools and experienced consultants provide the flexibility to deliver customer mobile solutions for any IBM i organization. View this Webinar and learn how to build mobile web, hybrid or native apps, allow users to work connected or off-line and leverage your existing RPG/COBOL or LANSA team to accelerate your business. 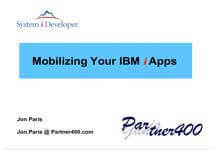 This Webinar covers a number of considerations when going mobile with IBM i, including, when to build mobile web, hybrid, or native apps, whether to develop brand new apps or instantly render 5250 screens, staying connected or working offline with synchronization, choice of development language: RPG, COBOL, LANSA and running apps securely on the IBM i. 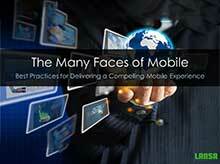 Industry expert, Jon Paris, discusses recent mobile trends and happenings, mobile development options and why RPG/COBOL developers may struggle with mobile. David Brault, LANSA Product Manager, demonstrates how IBM i developers can leverage their existing RPG/COBOL programming skills to build native mobile apps for Apple and Android that are fully integrated with the IBM i. 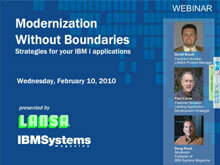 Learn about LANSA’s solutions for: modernizing core IBM i applications with web, Windows or mobile extensions; building multi-platform web, Windows and mobile apps with a single language; developing native, hybrid, or responsive web applications; instant web-enablement of existing IBM i applications; enforcing system-wide validation rules and business logic; automating, managing and monitoring business processes with workflow; exchanging data and documents between systems and trading partners; and integrating applications, processes, systems and databases. 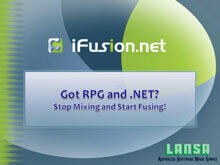 David Brault, Product Manager, LANSA, demonstrates how you can stop duplicating the same business rules in multiple applications by enabling developers to define and maintain business logic and validation rules in a single location, enforced by .NET and RPG applications alike. You will learn how to increase developer productivity, improve the accuracy of production data, and provide .NET developers with access to native i5/OS real-time features like data areas, spool files, RPG/COBOL/CL APIs, the IFS and more. Imagine the efficiency of your customer service department if all customer information was literally a mouse click away. When users work within an environment that unifies content from several sources – green screens, websites, PDFs, Word documents, Excel spreadsheets, and other applications – the result is faster call resolution, less time on-hold, and improved customer experience. Learn how LANSA can help you optimize your current applications to provide outstanding customer service. 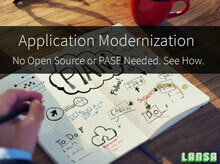 Application Modernization is a viable choice for many organizations, as compared to complete system replacement. However, gaining budget approval for your project requires much more than just a technology decision. This Webinar takes you through the steps proven to prepare you for the ultimate project pitch to your CFO. View this IBM Systems Magazine Webcast featuring industry expert Paul Conte and discover modernization strategies that truly take your IBM i applications beyond the limitations of today’s tactical solutions. 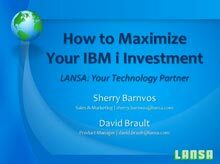 Paul is joined by David Brault, Product Manager at LANSA, who shows how you can use RAMP from LANSA to extend your IBM i systems, prolong the life of your legacy programs and easily integrate with future technologies and applications. 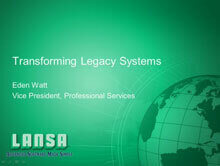 Starting with an IBM i legacy application, this Webinar walks you through transformation options such as screen-scraping, migration and conversion, Workflow enablement, SOA via web services and evolutionary replacement. You’ll see solution samples and leave armed with a far better understanding of which option may be right for you. Many organizations have part of their application portfolio running in the Cloud. 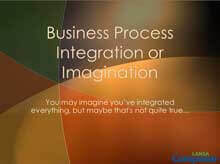 Integration of cloud and on-premise solutions is therefore crucial. View this Webinar to learn how to deliver automated integration solutions for hybrid cloud environments, as well as for other scenarios, including data exchange via EDI, XML, FTP or web services. 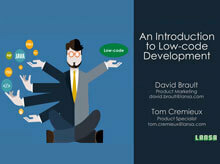 For business analysts, no programming required. Imagine the Time and Effort you could save your company if you could eliminate error prone manual processing steps. Business Process Integration and Automation does not have to involve heavy duty and expensive Enterprise Service Bus (ESB) systems. 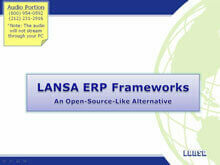 LANSA Composer is a code-free design and execution platform for integrating business activities. It covers the 4 key requirements of a business process integration solution: Transportation – Transformation – Orchestration – Administration. 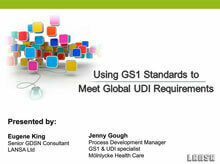 View this webinar and lean how using GS1 Standards can help manufacturers streamline the process for product data aggregation and publishing to the GUDID using the Global Data Synchronization Network (GDSN), see a case study of a leading US medical device manufacturer which has recently undertaken the journey to meet the Class III device deadline and learn valuable insight on how to prepare for Class II device requirements. Bob Gleisner, Director of Professional Services, LANSA, gives an overview and demonstration of LANSA ERP Frameworks - a fully integrated suite that offers one comprehensive, enterprise-wide solution for manufacturers and distributors alike. Bob draws on over 20 years experience working with a variety of IBM midrange ERP systems to address the issues of ERP implementation. Mobile technology helps businesses develop a competitive advantage, improve sales productivity and boost customer satisfaction. Provide your sales team with a state-of-the-art mobile apps that allow them to close deals on-site. View this Webinar to find out how you can have a secure, easy-to-use mobile solution for your sales team, partners and customers – in 30 days, or less!